2015 was a BIG year for the Handsome Little Devils. We performed and produced over 300 live shows, in 17 different states, and on national television. 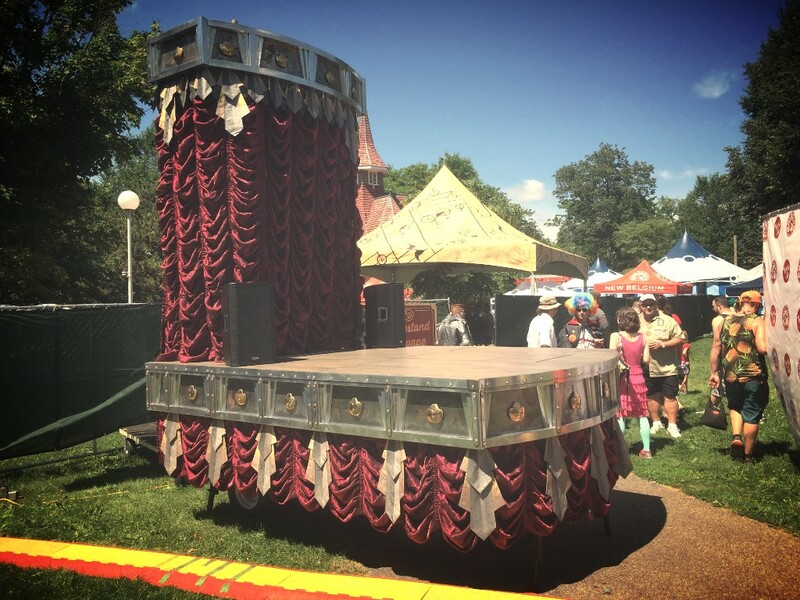 We produced unforgettable special events for private and corporate clients and built a new, innovative mini-mobile stage that toured to 10 different festivals throughout the year. We created new theatre pieces, completed a feature film and refined our current repertoire. We can’t wait to do it all again next year! Cheers to 2016! Here are a few pics from 2015. To see the full recap, read more: 2015 Year in Review Newsletter! Piff’s Piffmas Pifftacular! Piff, Jade, “Kimberley Sunshine” and Mike the Handsome backstage after the final holiday show at the Flamingo Hotel. The Stage Stage is now booking festivals and fairs for 2016! We brought “Squirm Burpee” to the Hamilton PAC this spring! In 2015 we introduced our innovative mini-mobile stage, Sputnik. After 10 festivals and a few special events, we know that Sputnik is the Next Big Thing for live entertainment!